I am currently researching St Christopher paintings in Gloucestershire – the county of my birth – for a forthcoming publication. There are a number of extant and lost examples, some of which are described here. It it likely that the majority of churches possessed a St Christopher painting in the medieval period. Most were whitewashed, defaced or destroyed at the Reformation. 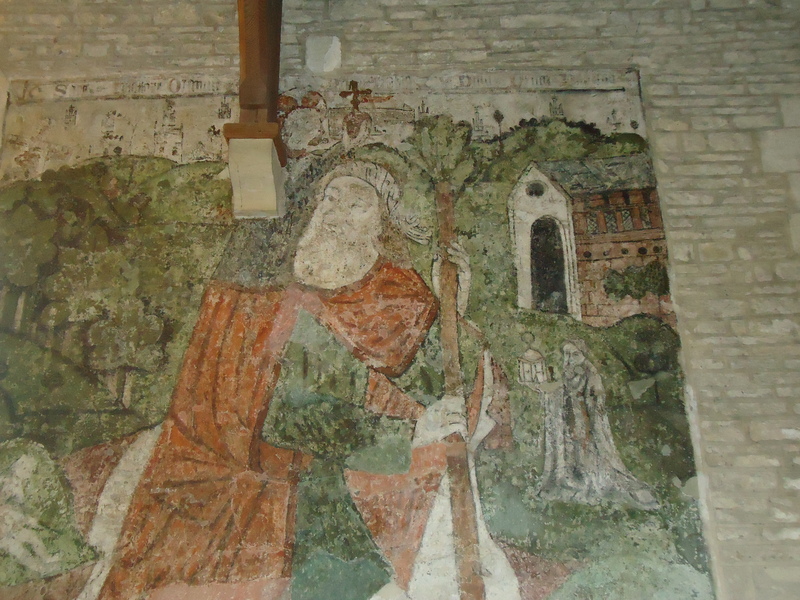 The fifteenth-century St Christopher painting at Baunton is one of the most celebrated murals in the country. 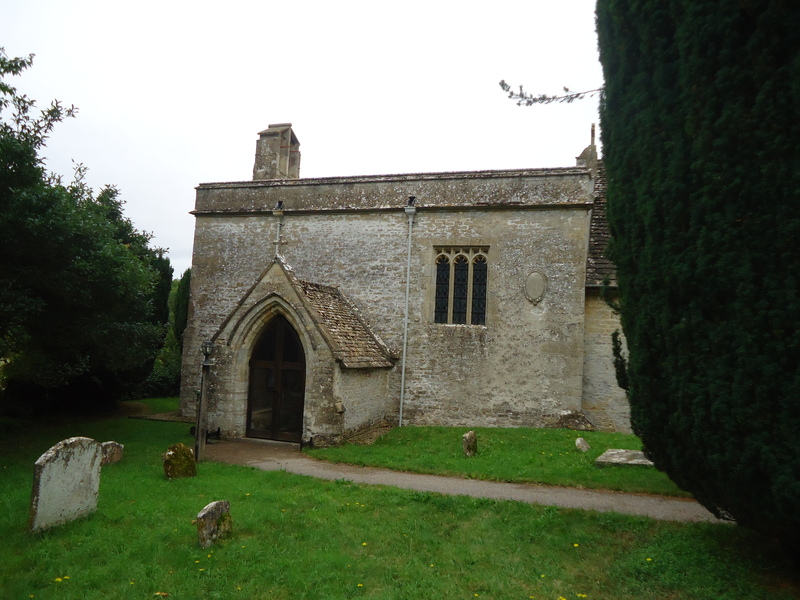 Research in the Gloucestershire Archives, as well as a recent site visit to the church, have drawn my attention to a number of interesting features. This is clearly a high-status painting. Conservation reports record remnants of gold leaf found on St Christopher’s cape. The palette is rich and varied, and includes greens, purples, oranges and blues. The red area on the saint’s cloak is high-quality vermilion. 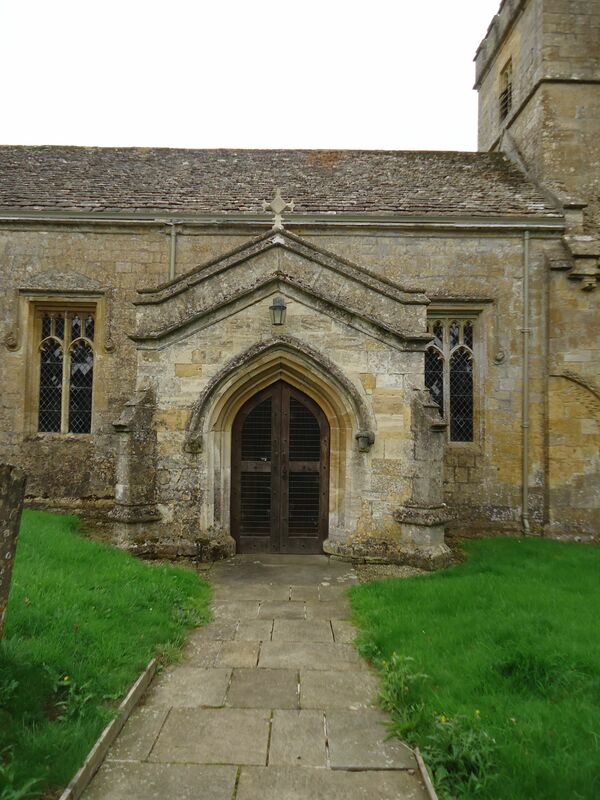 Baunton was originally a chapelry dependent on Cirencester, and was previously owned by Cirencester Abbey. This connection may explain the material wealth of this church. The rebus which forms part of the Baunton medieval altar frontal suggests the item may have been a gift from an abbot. The inscription running along the top of the painting is illegible. 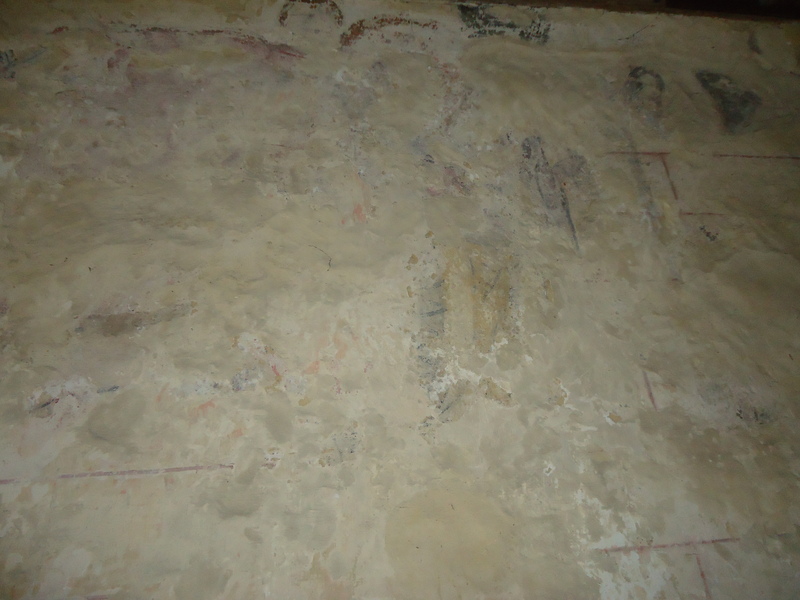 The medieval St Christopher painting at Ampney Crucis was obliterated soon after discovery in the nineteenth-century. It is well-known for supposedly including the inscription: ‘Thomas ye paynter of Malmesberie’, recorded by antiquarians. Could this inscription actually be the remnants of a later post-Reformation paint layer? Such murals commonly included the names of painters, whereas medieval paintings did not. 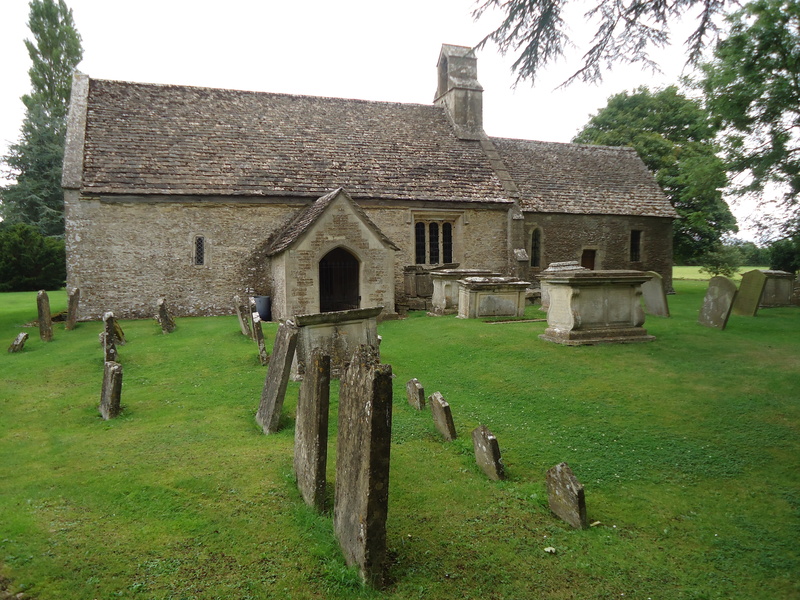 Ampney Crucis, Gloucestershire. Once my ‘home tower’. St Christopher, Ampney St Mary, Gloucestershire. 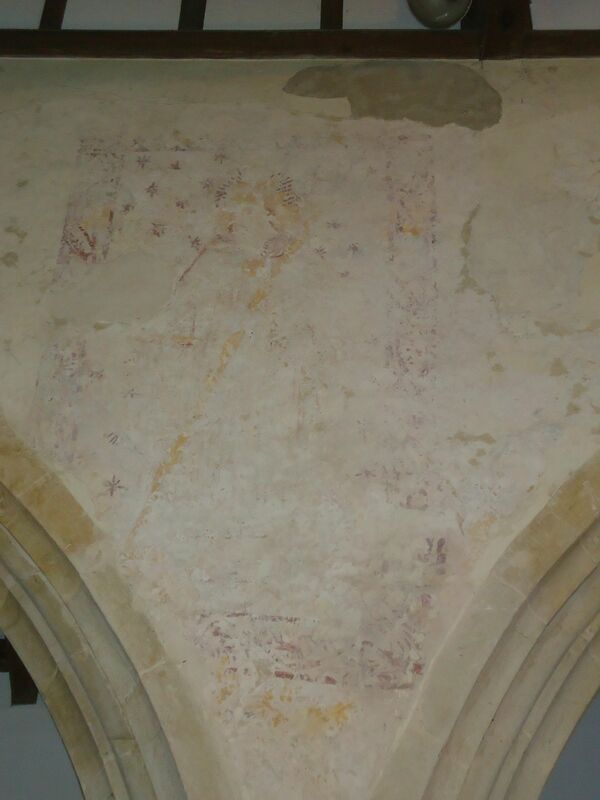 There is little left to see of the St Christopher wall painting at Ampney St Mary. However, it is possible to discern the outline of both the saint’s and the Christ Child’s nimbed heads, and the saint’s billowing cloak. 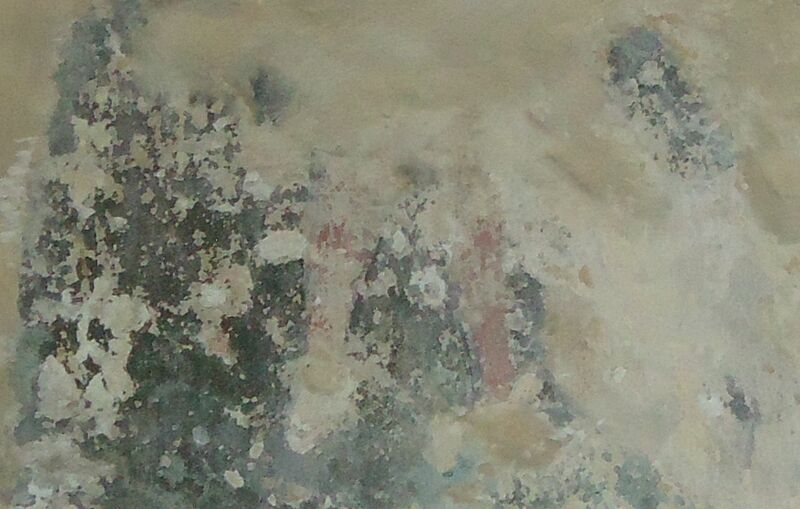 Closer examination reveals a number of background features, including the lower half of a figure standing on the left bank. Figure, Ampney St Mary, Gloucestershire. Turkdean is an interesting example of a reversed alignment St Christopher painting. 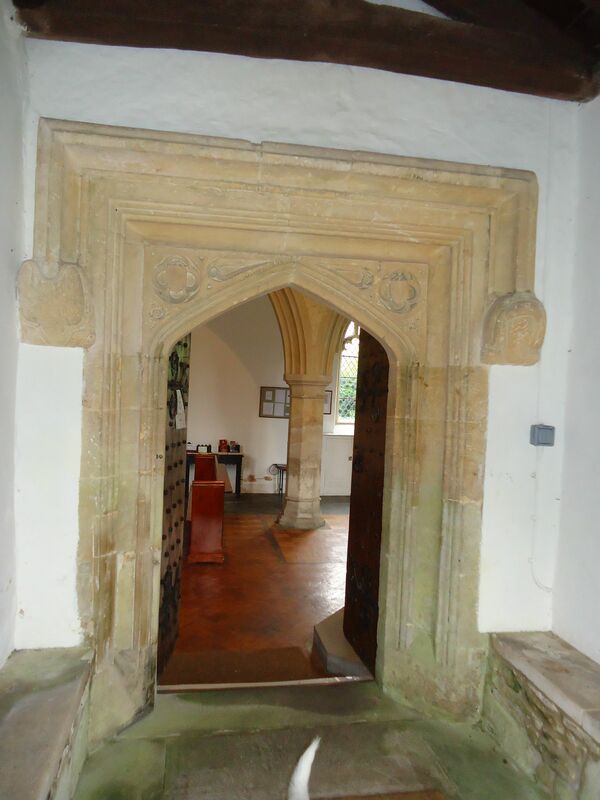 Unusually, the north door was the principal entrance to the building, shown here and demarcated by the elaborate porch and doorway. Accordingly, the St Christopher painting is located on the south wall of the nave arcade, rather than in its more usual place on the north wall. The painting would have been visible to the laity as they entered and left the building. A closer examination of the Turkdean painting reveals the saint’s tilted head. Both the saint and the Christ Child wear halos composed of red radiating linear rays. The saint holds a long yellow staff, and the background is powdered with stars. The painting has stylistic and typological similarities with murals elsewhere in England dating from the early fifteenth century.